– A whole new bunch of Library added for T-Spline Nodes. You can turn on this option from Settings to view the T-Spline nodes in Library. T-Splines modelling technology is now exposed in Dynamo to enable new organic and freeform geometry creation tools. There are approximately 150 new nodes that are a subset of the existing geometry library. Since this is an advanced functionality that may be useful only in certain non-standard workflows these nodes by default will be hidden in the library and will not interfere in node search results unless explicitly turned on in the Settings -> Experimental menu. The new functionality offers a wide range of capabilities to create and edit T-Spline surfaces and also conversion to and from NURBS and meshes. – We have fixed the long pending issue of Screen Capture, now it doesn’t matter how big your graph is, everything will be visible at whatever zoom level you are at when you use Export Workspace as Image. – Element Binding (the ability of Dynamo to track and modify rather than duplicate or replace elements in Revit) had some regressions in Revit 2017. These are fixed. – Freeze does not delete elements created in Revit anymore. – Fixed long pending issue with Importing series of Swept Solids, Now while after importing all Surfaces are there. 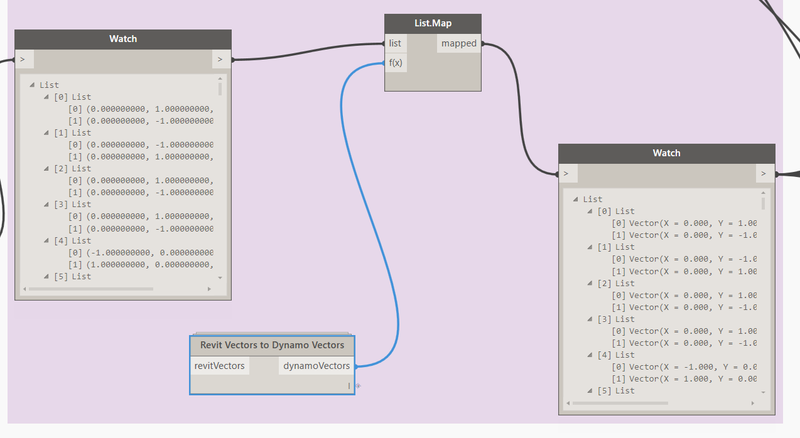 – Read-only nodes and directories can now be loaded in Dynamo. 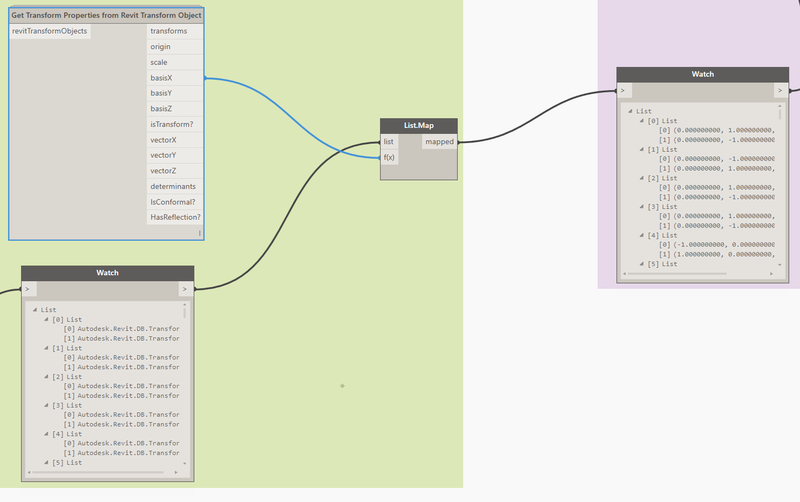 – Turning off “Revit Background Preview” no longer turns off “Background Preview” on relaunch of Dynamo. – Now once you add a new path for Package location then all the packages from the new path will get loaded without relaunching Dynamo. – We have improved the preview bubble for its Pin and hover over related issues. – Updated the compact view of the preview bubble to display information about the number of items in an output list. – From this release, we stopped migrating of 0.6.3 and 0.7.0 files. If your old files contain nodes from above two releases then you have to open those files on an earlier version (till 1.0.0) and the save them. – Installing Dynamo 4 Revit 1.1 Will require a reinstallation of Dynamo Studio with Studio 1.1 (1.0 and 1.1 cannot co-habitate). This issue will not happen in the future, when Future Dynamo Core installation will work with older versions of Products. Transform objects (such as coordinate systems) in the Revit API have many ‘members’ or properties. 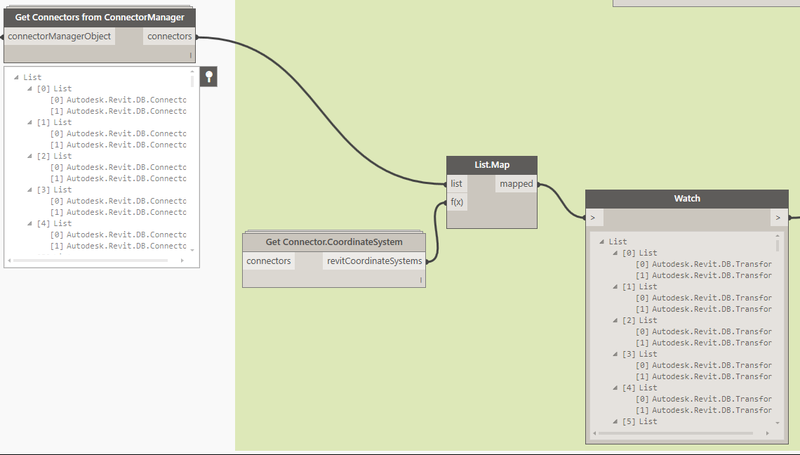 This node takes a Transform object and unpacks most of the useful properties for downstream use. 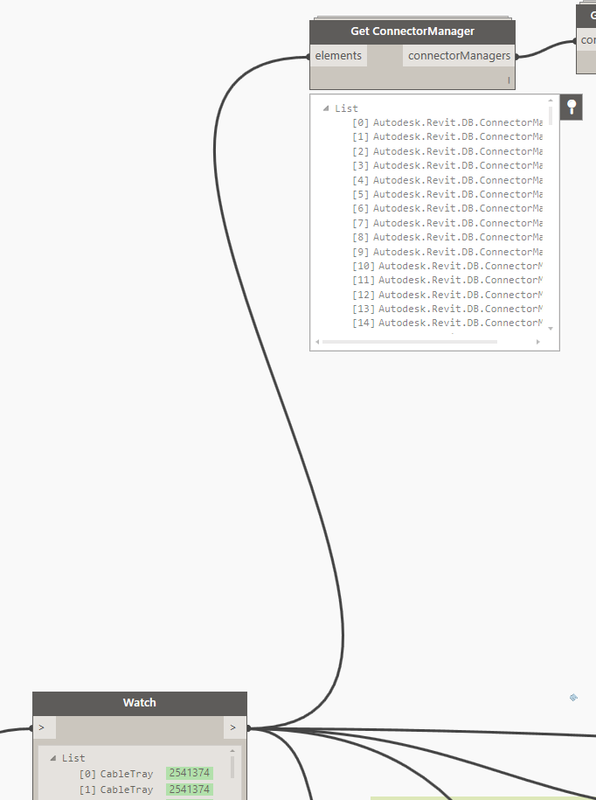 ConnectorManager objects in Revit typically have various ‘connector’ subobjects. This node reveals the connectors from each connector manager. MEP elements in Revit have connections. These connections are typically managed by a special API object called a “Connector Manager”. 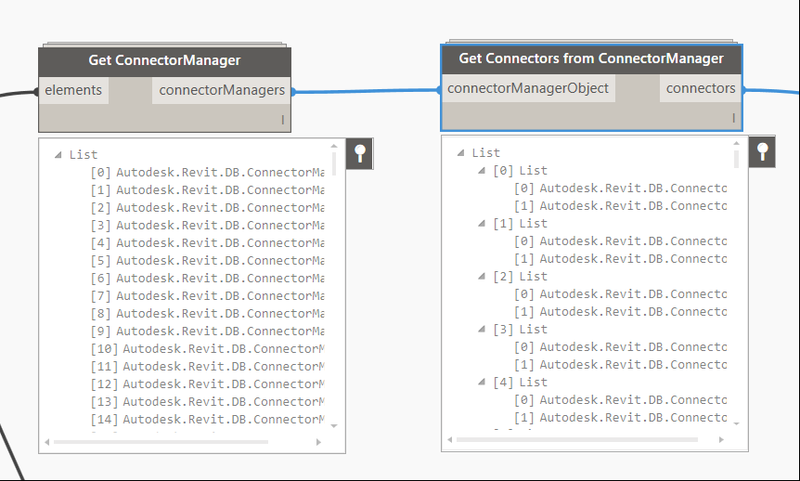 This node takes a Revit element and returns the connectorManager. We can easily use builtin nodes like Element.Geometry, Geometry.DoesIntersect and Geometry.Intersect to put together a simple clash detection process in Dynamo. However, these geometry nodes bring some processing overhead. To speed things up, I packaged it all into a Python Script in this node. Basically, it doesn’t have to unpack or ‘draw’ the actual element geometries, so the performance should be better than the standard nodes. 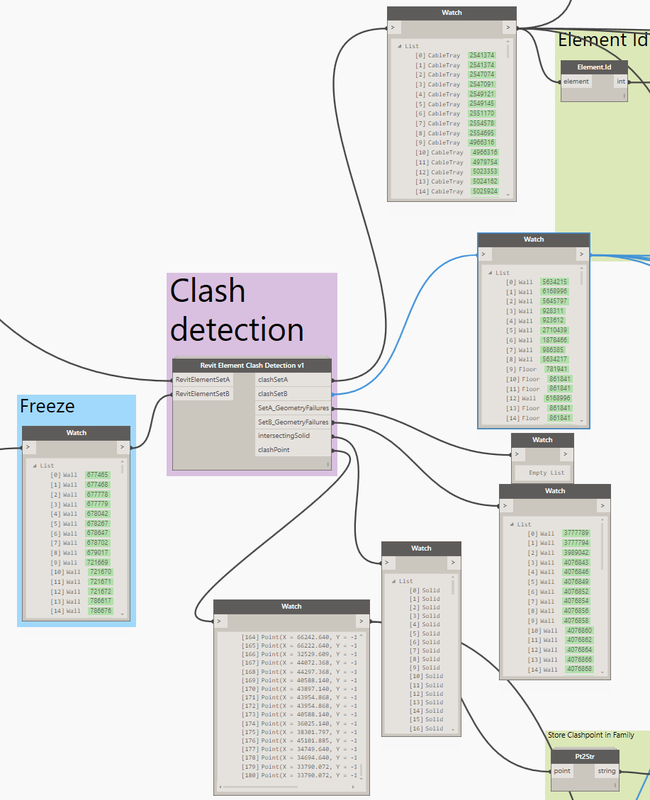 The node does a full cross-product check to find the clashes. This will be made available in Bakery package. Future versions will likely be ‘chasing more speed’.